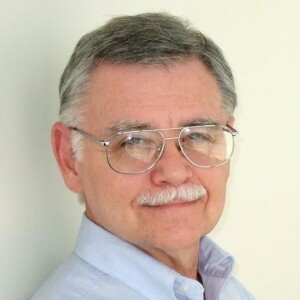 Born and raised in the heart of the heartland, Columbus, Ohio, John Hegenberger is the author of several upcoming series: Stan Wade LAPI in 1959, Eliot Cross Columbus-based PI in 1988, Tripleye, the first PI agency on Mars, and Ace Hart, western gambler in Arizona in 1873. He’s the father of three, tennis enthusiast, collector of silent films and OTR, hiker, Francophile, B.A. Comparative Lit., Pop culture author, crime-fighter, comedian, ex-lead in the senior class play, ex-Navy, ex-comic book dealer, ex-marketing exec at Exxon, AT&T, and IBM, happily married for 45 years and counting. The mystery of what’s doing in Cuba vis a vis a private eye. Pencil, computer #1, computer #2, computer #3. Write every day or get the hell out. Lots of marketing to finally find a publisher. What genres do you write? : Crime, mystery, SF.